We thank you for allowing Resurgia to become your Primary Care Doctor and for welcoming our providers into your home…and into your life. We fully understand that you are entrusting us with your care. We do not take that lightly, and we are committed to exceeding your expectations. Please review the guidelines and resources below to help make the most of your house call visits. New to Resurgia? Call us to get registered and schedule your first house call. You can also Click Here to download the New Patient Referral-Registration Form and fax to (404) 445-5173. After you are registered, you will receive a scheduling phone call or text one to three days before your scheduled visit. We make every effort to arrive at appointments within the scheduled time window, but sometimes this may not be possible due to traffic conditions and the duration of preceding patient visits. After your first visit, your clinician will schedule follow up visits on an ongoing basis, as medically necessary. If you need to schedule an appointment outside of your planned follow up visit, please call the office at 1-84House-Doc or (404) 445-5304. Once your house call visit has been scheduled you should collect all medical records that you think are pertinent to your care. Please fax these records to us at (404) 445-5173. You may download our Release of Medical Information to Resurgia form here to ask your current and past medical providers to send your medical records directly to us. You may also enter information about your medical history directly into Resurgia’s Patient Portal. Click HERE to access the patient portal. Please call us if you have not already received login credentials. You will receive a phone call reminding you of your scheduled appointment one to two days before the scheduled visit. Your reminder call will confirm your house call appointment day, estimated arrival window, and the clinician that will treat you. All appointments are scheduled within a three-hour time window. Although we will try to arrive as close as possible to your scheduled time, arrival times are impacted by traffic conditions and the duration of preceding patient visits. You should anticipate that your house call visit will last 30 to 90 minutes. This quality time allows for comprehensive medical care that takes into account your medical, environmental and social conditions. You should also complete the required forms prior to your scheduled house call visit. This includes reviewing the Resurgia New Patient Packet and signing the required consents (included in the Patient Handbook). If you cannot do this ahead of time, we will spend time during your first house call visit to complete this necessary task. Ensure that you are ready to be seen. Caregivers and patients should be aware of their scheduled visit and ensure that they can create an environment that is conducive to a quality medical visit. This includes minimizing distractions, and ensuring private and smoke-free surroundings. In addition, pets should be secured so as not to distract from your quality time. This in-depth approach allows your provider to develop a comprehensive, highly individualized Plan of Care, and identify needs for medications and supporting services such as transportation, home health, personal care, and physical/occupational therapy to name a few. During your visit, please feel free to share any concerns with your provider. Delve into your medical history. Talk about your diet. Make the most of your quality time. The more your providers understand about you, the better they can treat you. Please adhere to your Plan of Care. You may receive a follow up call to check on the quality of the visit, schedule a follow up appointment, or to clarify any information needed to complete orders and prescriptions. If you were prescribed medication, please pick up or expect delivery (if you chose one of our delivery pharmacy partners), and take your medications as prescribed. You should also expect follow up calls from other service providers, as needed. For example, if the clinician orders an evaluation for physical therapy, expect that you will get a call from a Home Health Provider to arrange these services…in the comfort of your own home. Please contact us upon being admitted AND discharged from hospital, so we can provide you follow-up care in your home upon discharge. If you need to schedule an appointment outside of your planned follow up visit, please call the office at 1-84House-Doc or (404) 445-5304. Our practice is mobile. As such please allow 48-hours for calls backs on routine matters. Medication Refills. Please request refills 10 days in advance by leaving a voicemail on the RX Refill Line (Option 2). 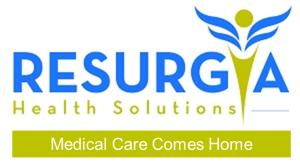 Resurgia Health Solutions is not an Emergency Services Provider. If you are experiencing a medical emergency, call 911 or go to the hospital. Get ready for your first visit. Below you will find several forms that you will be required to complete and review prior to your first visit. The Resurgia New Patient Packet contains all required forms and vital information in a single place. You may also choose to download the required forms individually. Healthcare shouldn’t break the bank. 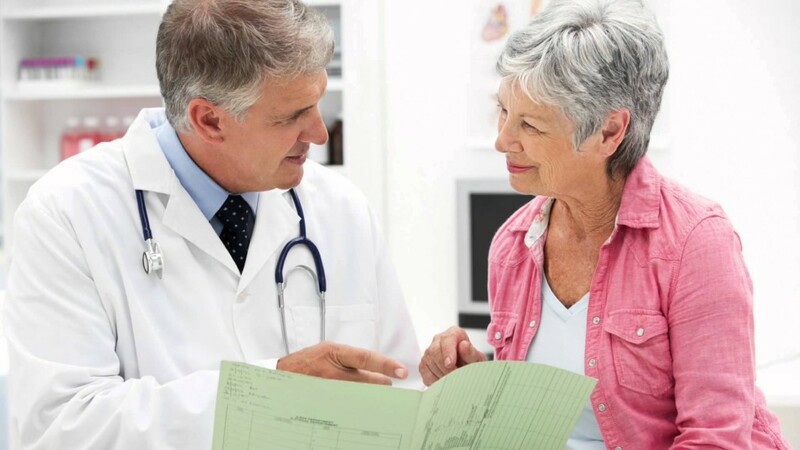 Resurgia accepts most major insurance plans, including Medicare, Medicare with supplemental insurance and Medicaid. Check if we accept your insurance plan below. Login to Resurgia’s Patient Portal. Login to view records, make appointments or send us messages.